Our company is an independent manufacturing representatives organization that can take on any project at any point, no matter where you are in the manufacturing process we can bridge the gap from start to finish with everything from concept to installation. Motion Maker Engineers are the “go to” custom automation equipment experts. As an independent manufacturing representative organization we are comprised of innovative sales engineers with more than 20 years of experience meeting unique manufacturing challenges, we take pride in providing world-class services to solve the toughest technical problems. We have worked in every major industry and know our way around medical, semiconductor and packaging manufacturing. Our goal is to develop long-term client relationships by providing the maximum value for our client’s investment. We have a track record of providing solutions for even the most challenging applications. Bring us your problem and we will provide your solution. At Motion Maker, we know there are a variety of options available for clients who are looking to automate. With our company offer experienced consultants who have delivered successful projects across a wide range of industries and applications and are ready to meet your needs today. Our extensive expertise ensures we are the premier provider of material processing and manufacturing solutions which will make you more competitive and profitable. Motion Maker engineers use leading-edge applied technology for your projects to provide exceptional solutions for you unique project requirements. 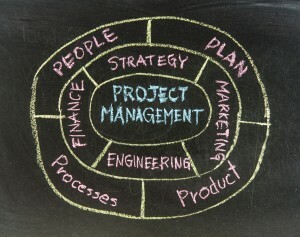 Our team will work with you to make sure your goals of the project are to your exact specifications. We specialize in factory automation programs, starting at the earliest stages of development, and work with our clients to reduce component costs, improve automation reliability, shorten implementation time and ensure long equipment life and functionality. Let us save you time and money. At Motion Maker, our people are our greatest asset. We pride ourselves on maintaining a unique balanced culture that allows our professionals to realize their full potential with a sense of fulfillment every day. It is not often you will find a sales force who have been in the trenches of engineering, from designing to programming; we have done it all and are able to talk your language. Beyond our own extensive consulting capabilities, we also represent a select group of professional companies which are well-trained and experienced with the products we represent and specialize in turn-key solutions. We are always looking to partner with new like-minded independent manufacturing representatives for lead generation, so connect with us today.